A North Korean soldier fled across a heavily fortified border to defect to South Korea early Saturday, the military in Seoul said, just as the rivals began taking steps to reduce military tensions. 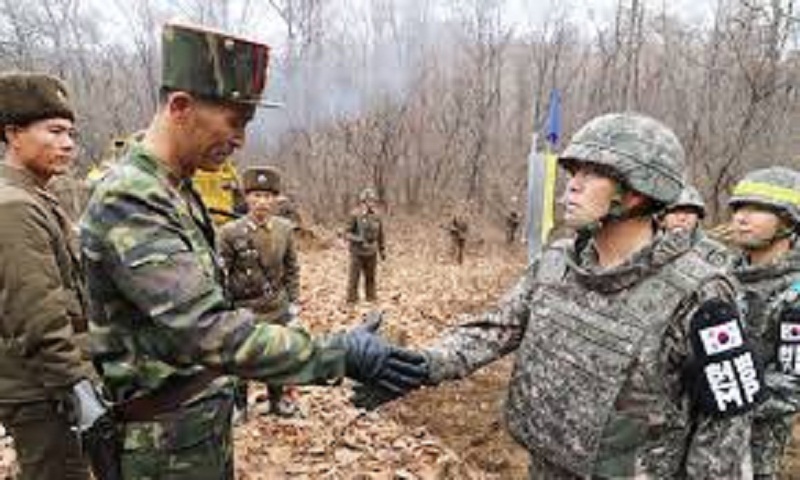 South Korean soldiers escorted the defector to safety after finding him moving south of the eastern side of the military demarcation line that bisects the Koreas, South Korea's Joint Chiefs of Staff said in a statement. The North's official media hasn't reported about Saturday's case. Pyongyang has frequently accused Seoul of kidnapping or enticing its citizens to defect. About 30,000 North Koreans have fled to South Korea, mostly traveling via China, since the end of the 1950-53 Korean War. South Korea says the military agreement, which also included creating buffer zones along the Koreas' land and sea boundaries and a no-fly zone above the border, is an important trust-building step that would help stabilize peace and advance reconciliation between the rivals. But critics say the South risks conceding some of its conventional military strength before North Korea takes any meaningful steps on denuclearization, as the larger nuclear negotiations between Washington and Pyongyang seemingly drift into a stalemate. South Korea's Defense Ministry said Friday that the Korean militaries completed removing 20 front-line guard posts and land mines from a border area where they plan to start their first-ever joint search for remains of soldiers killed during the 1950-53 Korean War.